My Pick: First of all, can someone please explain to me how The Lone Ranger gets nominated in this category over films like Pacific Rim and Elysium? Forget that The Lone Ranger wasn't a good film, its visual effects were not worthy of this nomination. Anyway, rant over. This is the first, but certainly not the last time that I willl be calling Gravity's name this year. The Hobbit: The Desolation of Smaug, Iron Man 3, and Star Trek Into Darkness all looked great, but Gravity was just a visual spectacle that really needs to be seen on the big screen. My Pick: Not to be outdone by its visual effects, Gravity's use of sound was equally astounding. It conveyed a large range of emotion and was even more important sometimes when it wasn't there at all. My Pick: My first time seeing Gravity in the theater (after it was re-released) was actually my second time viewing the film. As a result I was able to pay more attention to all of the details as I already knew what was going on. I'm having a hard time differentiating between editing and mixing with this film so I'm going to go ahead and give Gravity the sweep of this year's sound awards. 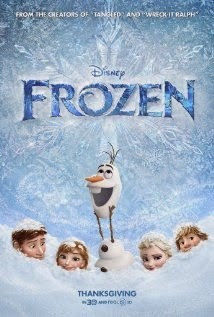 My Pick: I haven't even seen Frozen yet, but from what I hear, it's wonderful. The Pharrell Williams and Karen O songs were good, and U2 is legendary (even if this song wasn't), but none of them spawned a re-lease of their film in a sing-a-long format like "Let It Go" did. It isn't often that I can pick a film that I haven't seen, but I think the overwhelmingly positive word of mouth Frozen has received makes it a safe bet here. My Pick: I'm having a bit of a tough time with this pick actually. I haven't seen three off the nominees (The Book Thief, Saving Mr. Banks, Philomena), but I loved the two that I have (Gravity, Her). Making things more difficult is the fact that I can't say that the score from either film really stands out in my mind now that some time has passed. I'll go with Her in this category as the rest of this post showers Gravity with enough love and it would be great to see Her get some recognition at the Oscars. My Pick: Ok, I'm convinced that someone at Disney paid off some Academy members. The Lone Ranger picked up another nomination? Really? Apparently putting Johnny Depp in make-up constitutes award worthy work. Who knew. Anyway, the fact that that awful film was nominated will surely be a non-factor when one of the other two takes this award home. I have not seen Bad Grandpa, but the makeup work was pretty damn good as it is hard to believe that was Johnny Knoxville, but I'll go with Dallas Buyers Club for the more diverse workload that was highlighted by Jared Leto's and Matthew McConaughey's characters. My Pick: Period pieces generally dominate this category. I know, way to go out on a limb right? Having seen only two of the nominees in this category, I have to think that this award will come down to three films: American Hustle, The Great Gatsby, and 12 Years a Slave. Unfortunately, I think that the time and subject matter of 12 Years a Slave hinder it a bit here because the clothing was plain and fairly drab. 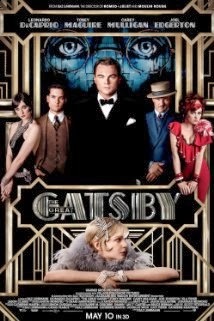 The Great Gatsby was a spectacle (so I hear) but from what I've seen of the trailer, that seems to be more from the set design than the actual costumes themselves. 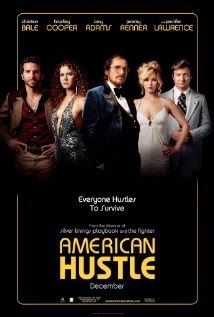 Due to its flashy '70's inspired designs that jump off of the screen and really help complete some very unique characters, my pick here is American Hustle. My Pick: Flip flop my thoughts on American Hustle and The Great Gatsby from the last category and you know how I feel about Production Design this year. As I just mentioned, the sets in The Great Gatsby are extravagant. Even I could tell that from the trailer and from the little bit I saw as my wife watched it on the plane on our honeymoon. Her had a clean and sharp not-too-distant future look to it that fit the story well. American Hustle was dominated more by the characters and I'm trying hard not to give every award to Gravity. I'm going 'sight unseen' again and picking The Great Gatsby in this category. My Pick: Alfonso Cuarón's long shots and their seamless integration with visual effects are what make Gravity the pick here. 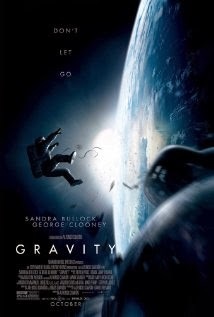 My Pick: Gravity. Do I sound like a broken record yet? It was the most epic film in terms of scope this year and it was masterfully made. I'm not sure there's anything else to say (other than this is a technical category which makes my selection iffy at best). My Pick: Wow. I'm a little surprised my this, but for the first time in a few years I haven't seen a single nominee in this category. 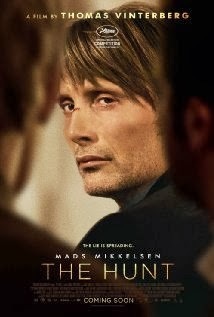 Since I have no knowledge, I'll pull for the The Hunt, starring Mads Mikkelson because I'm always entertained by his performances. My Pick: The only nominated animated film that I saw this year was Despicable Me 2, which didn't quite live up to the standards set by the first one in my opinion. Frozen continues to be shown at one of the local theaters here (that makes three full months at this point). That kind of staying power makes it the clear choice here if you ask me. My Pick: I am notoriously awful at picking the screenplay categories. I'm not a fast reader, so even if I was able to get my hands on copies of these scripts, I'd never get through them in a timely manner. So this is really is a blind guess on my part as I have no actual knowledge as to what may make one script better than another. 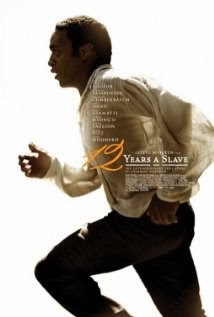 Because it deserves some sort of recognition, and it is the film that I continue to find myself reflecting on months later, I'll pick 12 Years a Slave. My Pick: Ditto for this category. Only I'm a little more torn here as I thoroughly enjoyed four of the five nominees. I would have no issue with any of those four (American Hustle, Her, Nebraska, Dallas Buyers Club) winning. Actually, I can't really argue against Blue Jasmine either, I just didn't appreciate it as much as the others. That being said, similarly to my hoping that Wes Anderson would take this award last year (which he didn't), I'm pulling for Spike Jonze this year, so Her is my selection. My Pick: As always, the talent here cannot be questioned. 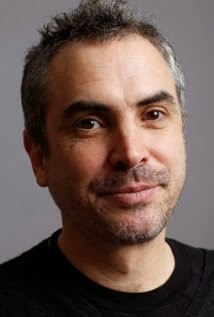 Russell has joined Scorsese as a perennial nominee in this category, and Payne is no stranger to Oscar nominations himself (albeit for writing, not directing). 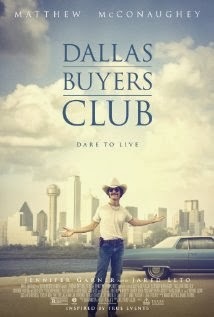 In my opinion, Best Director comes down to Alfonso Cuarón and Steve McQueen this year. The sheer scope of Gravity is what sets Cuarón apart in my mind. McQueen will have his day down the road, but Alfonso Cuarón takes the cake tonight. 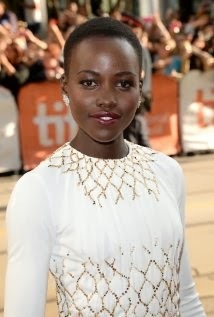 My Pick: Lupita Nyong'o. There is no competition here if you ask me. Sally Hawkins provided the perfect balance in Blue Jasmine. Jennifer Lawrence was an amusing, chaotic force in American Hustle, and June Squibb was matter of factly endearing in Nebraska. I haven't seen August: Osage County, but I can only imagine that Julia Roberts' role was worthy as well. None of these performances (to my knowledge) carried the shear emotional force that Nyong'o's did. Her turn as Patsey in 12 Years a Slave was so good it hurt (both emotionally and physically). The fact that this was her film debut makes it all the more impressive. My Pick: This is such a strong category this year, it's crazy. Any one of these men could take the award. If you had told me two years ago that Bradley Cooper would have back to back Oscar nominations I would have told you you were crazy. Similarly, Jonah Hill continues to prove that he's more than just a goofball, and Michael Fassbender's plantation owner was downright unhinged. But for me, the two that stand out above the rest are Barkhad Abdi and Jared Leto. They also happen to represent two ends of the acting spectrum. 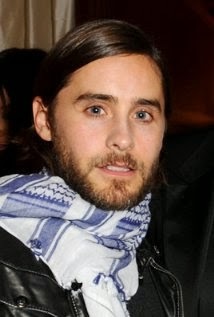 Abdi, the first time actor and Leto, who's been in the industry for quite a while. Abdi's performance really set the tone for Captain Phillips, and staring down a legend like Tom Hanks like he did was unbelievable, especially for a newcomer. Leto's performance as Rayon in Dallas Buyers Club though was really something other-worldly. That and the fact that he's been sweeping the Best Supporting Actor category this awards season makes him the pick here. Slightly biased side note: Leto walked within five feet of my wife and I as he went to a cd signing at the 30 Seconds to Mars (his band for those who don't know) show we saw in Charlotte, NC last fall. It would be cool to be able to add the title of 'Oscar winner' to that story along with rock star. My Pick: I'm a bit conflicted here. I didn't see either Judi Dench's or Meryl Streep's performances so I'm a little uneducated here (although I do tend to believe that Streep gets frequently gets nominated 'just because'). I've never been much of a Sandra Bullock fan, but I personally thought that her performance in Gravity was better than her performance in 2009's The Blind Side that won her this award in 2010. As you may remember from previous picks posts, both Wieder and I are huge Amy Adams fans and it is nice to see her graduate to a nomination in the Leading Role category. 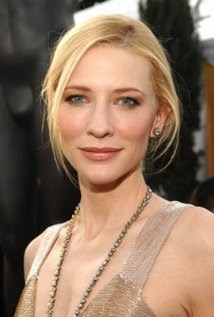 Despite those feelings, I think I have to pick Cate Blanchett this year. I didn't particularly like Blue Jasmine and I certainly didn't like her character, but despite that, I cannot deny that Blanchett gave a spectacular performance. I'm sorry Amy Adams. You'll get your Academy Award one day! My Pick: This group is absolutely stacked. But honestly, when is a Leading Role category not? By definition it always should be. The only name that would truly surprise me if it gets called tonight is that of Bruce Dern. I loved his role in Nebraska, but he's clearly the underdog of the group. Any one of the other four wouldn't surprise me one bit. Bale and DiCaprio have both attained the level at which a nomination is expected - which is no small feet to be sure. Chiwetel Ejiofor turned in an excellent performance in 12 Years a Slave, but in my mind was slightly overshadowed by Lupita Nyong'o's supporting role. 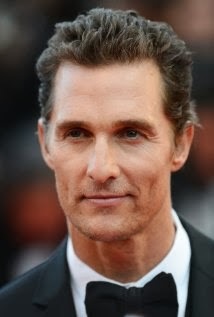 For my money, I'm picking Matthew McConaughey. Over the last few years he has become a very diverse actor, culminating in his role as HIV/AIDS advocate Ron Woodruff. The physical transformation that he underwent for the role is remarkable and the emotional transformation his character makes is equally impressive. My Pick: We've got nine nominees for Best Picture this year and I've managed to see eight of them. Luckily for me, the one that I have yet to see (Philomena) is not a front runner. I really can't argue against any of these nominees, but I can argue more strongly in favor of one. It isn't often that we get an event film, one that truly benefits from the experience of seeing it in the theater. Gravity is that sort of film. More so than any other movie in this category. I've seen it twice now: once on my computer, then a second time in the theater when it received its awards nomination re-release and it is just astounding in its original format. The expanse of space and the detail and clarity involved are second to none. It is amusing, thrilling, heart wrenching, inspirational, and downright awe-inspiring. 12 Years a Slave may give it a run for its money as they've split the Best Picture category at other awards ceremonies this year, but based on sheer beauty, scope, and emotion my pick for Best Picture this year is Gravity (which just so happened to top my Top 10 of 2013 list as well). There you have it. Those are my picks for the 86th Annual Academy Awards. As always, I'll be curious to see how closely my thoughts match up with the Academy's. What are your picks this year? Did you see any of the films that I didn't and do you think they would have changed my picks if I had?